My husband and I want to thank you for affording us the opportunity to have one of the most impactful, enjoyable trip experiences of our lives. 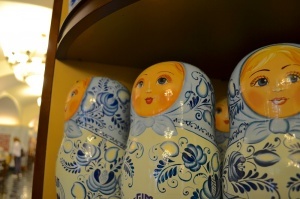 From start to finish, our trip to Moscow and St. Petersburg exceeded all of our highest expectations. This was due in great part to the expertise of the guides that you have employed. Although our initial guide, Rita Babakina was ill (and unfortunately, I can't remember the name of her substitute, but I'm sure that you do! ), her substitute was outstanding, as was Oleg Tkachenko. Both were extremely knowledgeable, engaging, and very accommodating. They made every day in Moscow wonderful. Masha Ganina was equally erudite, making every minute interesting with facts and anecdotes. She was also very warm and went out of her way to make us feel comfortable in the city that she loves. We eagerly looked forward to every day because of her engaging mixture of history, art, and political intrigue. The drivers were wonderful as well...Andre was very accommodating. Both hotels were fantastic, but the Four Seasons Lion Palace in St. Petersburg really went above and beyond with the warmth of their staff. We highly recommend both hotels, and we would not hesitate to return because of the stellar service, beautiful accommodations, and the variety of delicious dining choices that are offered. This was truly a most memorable experience. 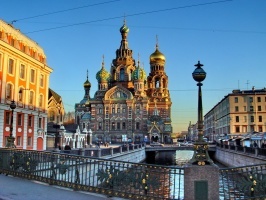 Pivate Russian Tour program: sighseeing, evening performaces, Russian cuisine dinner and much more! Upon arrival you will be met at the airport and transferred to the hotel. Hotel check-in and free time to relax and get some rest before your Russian tour begins. Moscow City Tour is an overview of the city's main areas within the boundaries of the Garden Ring and the Boulevard Ring. We will drive by Red Square and the Kremlin, historical Kitay Gorod, Tverskaya, Arbat and Zamoskvorechje neighbourhoods, St. Basil's Church, Church of Christ the Savior, Novodevichiy Convent, Luzhniki, the White House, Moskva River and others. 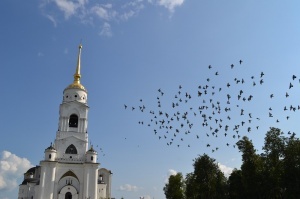 Then continue to the Sparrow Hills located 6 km south-west of the Kremlin to enjoy the best panoramic view of the city and the "wedding cake" building of Moscow University. The tour will included a visit to the Novodevichiy Convent founded in 1524 and proclaimed UNESCO World Heritage site in 2004. Through its history convent remained closely related to the political, cultural and religious events of Russia and its ruling families. Many famous women from the Tsar's family and aristocracy found refuge behind its walls. The convent showcases the highest accomplishments of Russian architecture with lavish interiors and an important collection of paintings and artefacts. In the afternoon you will get acquainted with Red Square and the Kremlin areas. This is where you will see the famous Mausoleum, St. Basil's Cathedral, Historical Museum and GUM department store. Inside the Kremlin you will explore the well known lanmarks: Cathedrals of Assumption, Annunciation and Archangel, dating back to the 15-16th centuries, Ivan the Great Bell Tower, Tsar Bell, Tsar Cannon, Hall of Facets and Terem Place. On your tour you will visit the Armory to explore a stunning collection of wealth and treasures accumulated by Russian royalties and church over the centuries such as royal regalia, Faberge Easter Eggs, the coronation dress of Catherine the Great, the 800-diamond throne of Tsar Alexey, the jewel-studded and sable-trimmed gold Cap of Monomakh worn for coronations for two centuries, the sleigh in which Elizabeth rode from St. Petersburg to Moscow for her coronation pulled by 23 horses at a time. Between the Armory and the Annunciation Cathedral is the Great Kremlin Palace the official residence of Russian president. We will start the day with an exciting ride on Moscow Metro, one of the most beautiful and efficient subway systems in the world, The metro carries over 10 million passengers daily (more than New York and London systems combined). its stations resemble stately palaces decorated with marble and granite, statues and mosaics, frescoes and murals. Prominent Russian engineers, architects and artists created not just a transportation system but a showcase glorifying the socialism and its achievements. Your tour continues with a visit to the Tretyakov Gallery located in one of the oldest parts of Moscow Zamoskvorechje, not far from the Red Square. The Tretyakov Gallery is a national treasury, home of the largest and most distinguished collection of Russian art in the world. The gallery was named after the Russian entrepreneur Pavel Tretyakov, who donated his house, where the Gallery is still located, surrounding buildings and almost 2000 works of Russian art from his own private collection to the city of Moscow at the end of the 19th century. The collection grew overtime and now features over 100,000 Russian works from medieval icons, including the ones by famous Andrey Rublev, to early 20th century. In the morning transfer to the train station. It takes 3 hours by fast "Sapsan" train to get to St. Petersburg where you will be met by our driver and transfered to the hotel. Upon arrival, city tour of St. Petersburg. We will drive by the elegant buildings on the Nevsky Prospect and stately palaces on Palace Embankment along the Neva River, in one of the most fascinating cities in Europe. You will see the Palace Square with Winter Palace and Alexander Column, the famous Bronze Horseman monument to Peter the Great, Admiralty, Schmidt Bridge, Strelka with Stock Exchange and Rostral Columns, Alexander Nevsky Lavra, Kanal Griboyedova, Fontanka, Kazan Cathedral, Church on Spilled Blood and other finest architectural, historical and cultural landmarks. 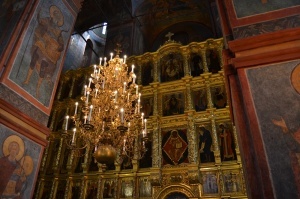 The tour includes visits to Peter and Paul Fortress and St. Isaac’s Cathedral. Peter-and-Paul Fortress was built in 1704 to defend the city from naval attacks. 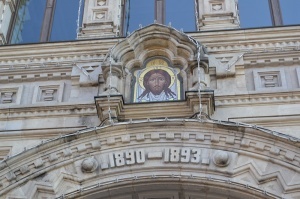 It never served its original purpose but became prominent for its rather gruesome history: thousands of workers died during its construction, many political prisoners, including Peter's own son Alexi were tortured in its cells, the tombs of the Romanov family are located in its Cathedral. St. Isaac’s Cathedral is one of the world’s largest Cathedrals and can accommodate about 10,000 audiences. It was designed by then unknown Auguste de Montferrand and opened in 1858. 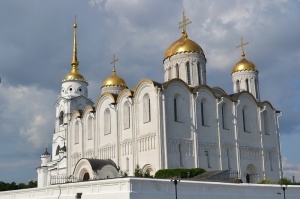 The Cathedral is beautifully decorated inside with marble of 13 colors, malachite, lapis-lazuli, paintings, mosaics and stained glass made by the most famous Russian artists. Today's highlight is a visit to the Hermitage Art Museum. The museum occupies six stately buildings situated along the embankment of the Neva River in the heart of St Petersburg. The main building in this unique architectural ensemble is the Winter Palace that was built according to the design of Francesco Bartolomeo Rastrelli in 1754-62 as the residence of the Russian tsars . Put together throughout two and a half centuries, the Hermitage collection consists of over 3,000,000 works of art and presents the development of the world culture and art from the Stone Age to the 20th century. In the afternoon you are free to continue exploring the Hermitage on your own or enjoy the beautiful St. Petersburg. After breakfast tour to Peterhoff, located on the southern shores of the Finnish Gulf 14 miles (29 kilometers) away from St. Petersburg. The town was founded in 1704 when Peter I built a wooden house on the Gulf whe he could stay while overseeing the construction of the nearby Kronstadt Fortress. In 1713 he began rebuilding the area into an imperial residence. The Grand Palace was inaugurated in 1723, and significantly expanded later by Empress Elizabeth. The Palace is surrounded by a beautiful park famous for its fountains. There are 144 of them, all operating without the use of pumps by a combination of naturally generated water pressure and magic. Each fountain is unique and once you step in the kingdom of fountains you will be surprised by this splendid beauty created by a man. 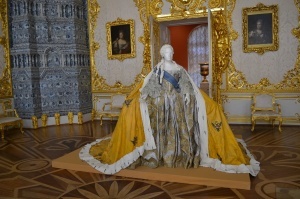 All day tour to royal palaces in Pushkin and Pavlovsk located 25-30 km from St. Petersburg. Pushkin's palaces and parks were created under Empresses Elizabeth and Catherine the Great between 1744 and 1796. The main landmark is the Catherine Palace designed by Francesco Bartolomeo Rastrelli and named after Elizabeth’s mother, Peter the Great's second wife. Pushkin's original name is Tsarskoye Selo (Tsar's Village). It was renamed in 1937 after Russia’s famous poet who used to study here. Pavlovsk’s park of woods, lakes and rivers, valleys and avenues, classical statues and temples is one of the most exquisite. The Great Palace is the centerpiece of Pavlovsk. It was designed by Charles Cameron between 1781 and 1786 on Catherine the Great's orders for her son Pavel, the future Paul I. Today marks the end of the tour. After breakfst - transfer to the airport. We work with all hotels in Moscow and St. Petersburg and will gladly book a hotel of your choice in the proposed category or reccomend one for you.